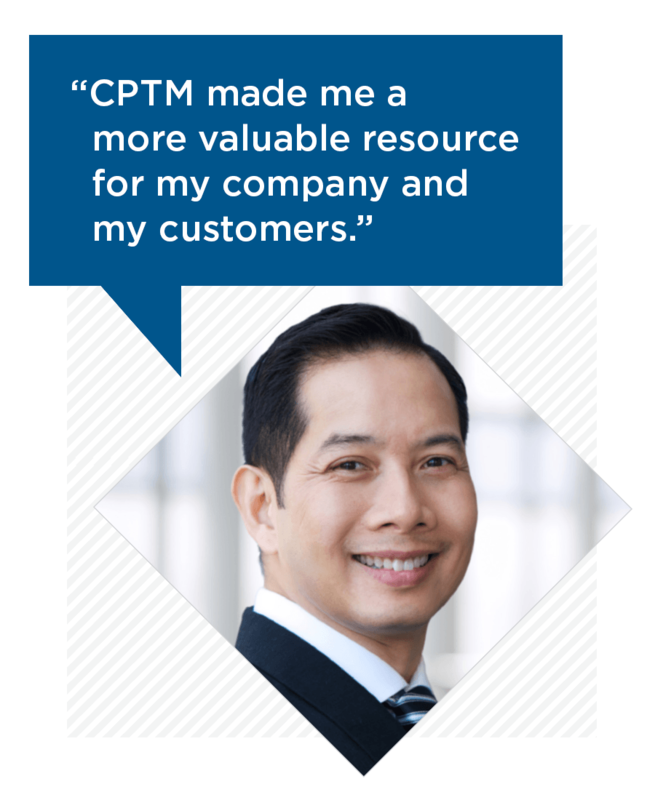 When you become a Certified Professional in Training Management (CPTM™), you earn access to a credential that validates your standing as a training leader and affirms your ability to apply the tools of the CPTM to create business value through strategic alignment. But don’t take our word for it. Here’s what CPTMs have to say, in their own words. read what graduates of the CPTM training program have to say about their experience. Keenan McBride | 11/26/2018 The CPTM program was one of the best educational experiences that I have ever had. The opportunity to take an insightful look into my profession gave me a greater depth of understanding on many topics. Being able to do this with my peers from across different industries also gave me insight on issues they face which helped me to gain knowledge from them. I would truly advise any training professional to invest in this well structured educational model! Kristen H. | 12/3/2018 Obtaining the CPTM certificate has been really beneficial. The content provided in the online coursework as well as the practicum was topnotch. The CPTM certification gave me an overall perspective of the training process as well as several tools I can use to design my training program and increase it’s overall effectiveness. Jay Redmond | 10/29/2018 After completing my CPTM, I feel like I have the formal education in training management that I was lacking. I learned a considerable amount of best practices that as a learning leader, are critical to managing the learning function. 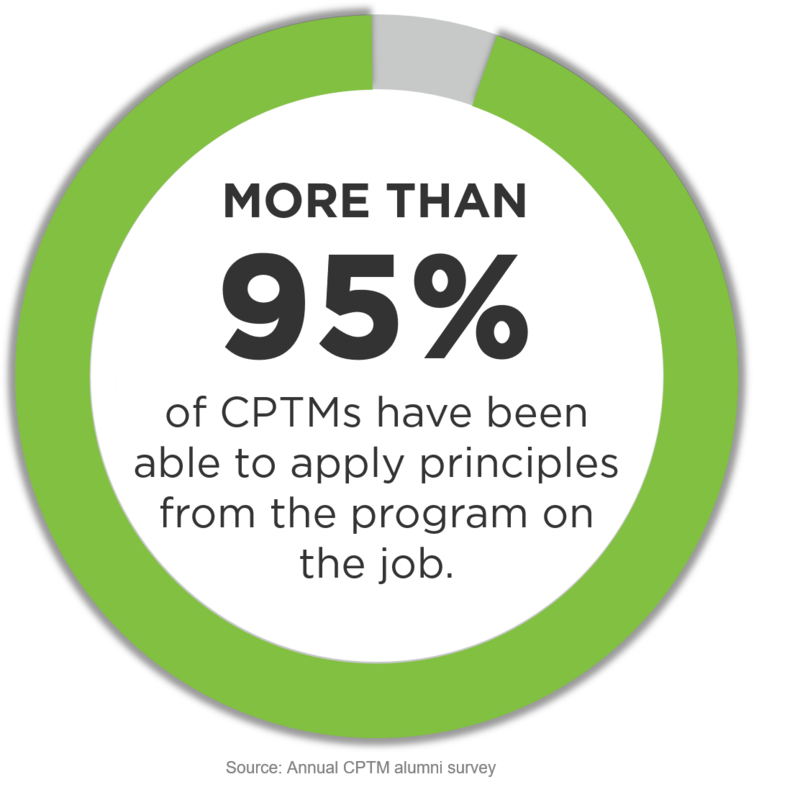 CPTM helped me better understand roles and responsibilities of the training organization and how to strategically align all that we do with the business. I now feel like I have the insights to lead our training organization from good to great! Read all of our 5-STAR reviews on FindCourses.com. Trent D. Bartholomew, M.Ed., CPTM, is a lead instructional designer and course manager in the safety, compliance and training department at Amtrak. Read his blog on what he believes are benefits to becoming a Certified Professional in Training Manager.